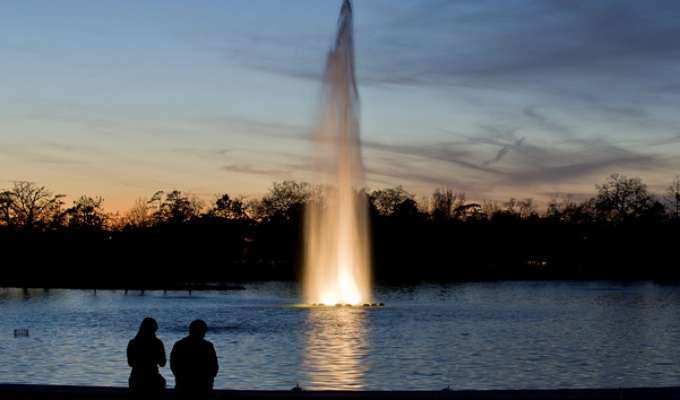 Bring your sweetheart to Hermann Park on Valentine’s Day, Thursday, February 14th, and enjoy a romantic dinner and a pedal boat ride! Watch the sun set on the Pinewood Cafe patio overlooking McGovern Lake from the cafe. After the al fresco meal, take a half hour cruise around the lake on Hermann Park’s pedal boats. Each couple will also receive a pair of train tickets and a discount coupon for Pinewood Cafe for a future visit to the Park. Reservations are required. The 5:30 seating is sold out. There are a limited number of spots available at 7:00. The price is $60 per couple. Beer and wine are available for purchase. Alcohol and gratuity not included. For more information and ticket purchases click here! 1721, 6104 Hermann Park Dr.